Manhattan College student Katherine Bowen, class of 2014 and a resident of Newtown, Conn., is the 2014 undergraduate valedictorian. Bowen will receive the Donald J. Carty Valedictory Medal at the College’s Spring Honors Convocation on May 15, and she will address the crowd and her fellow classmates on May 18 at the 172nd Commencement. Bowen graduates with a B.S. in physical education and a minor in adapted physical education, and was also awarded the Physical Education Departmental Major of the Year for 2013-2014. She was a member of a variety of honor societies, including Epsilon Sigma Pi, the oldest College-wide honor society, Kappa Delta Pi, the international honor society for education, and Phi Epsilon Kappa, for physical education. 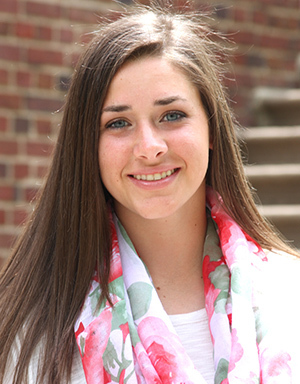 As a four-year member and two-year captain of the softball team, Bowen was recently selected as one of 30 candidates for the 2014 Senior CLASS® Award. The award is presented to NCAA Division I seniors and celebrates notable achievements in the areas of community, classroom, character and competition. She also was recognized with the Student Athlete of the Year award by Manhattan College on May 7 for the second year in a row, and named to the Capital One Academic All-America® Division I Softball Team. In addition, she received the National Fastpitch Coaches Association (NFCA) All-America Scholar-Athlete award three years in a row (2011-2013), and was part of the Metro Atlantic Athletic Conference (MAAC) Softball All-Academic Team two years in a row (2012-2013). In addition to her academic and athletic involvement, Bowen has spent her time serving the local community and her hometown of Newtown, Conn. Two years in a row, she organized a softball clinic for local Bronx elementary schools at Gaelic Park and has participated in the College’s Winter Wonderland and Safe Halloween programs. In the wake of tragedy in her hometown of Newtown in 2012, Bowen organized a Manhattan College Softball Sandy Hook Dedication Game through the Student Athletic Academic Committee in 2013. After graduation, Bowen will pursue her master’s degree in athletic administration at Springfield College and also work as a graduate assistant coach for the softball team. 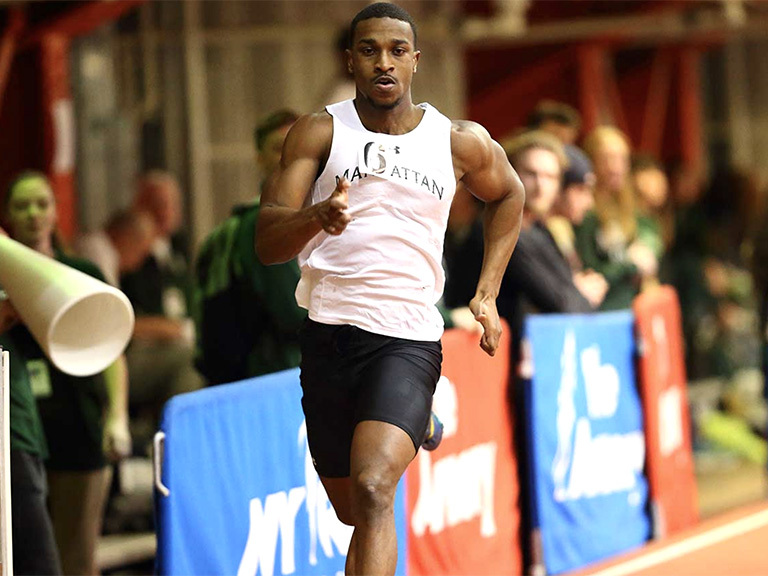 Manhattan College will award approximately 750 undergraduates with degrees in some 40 major fields of study from its Schools of Arts, Business, Education and Health, Engineering and Science on May 18. Carolyn Y. Woo, Ph.D., president and CEO of Catholic Relief Services (CRS), will deliver the keynote address at the College’s undergraduate Commencement. She will also be awarded an honorary Doctor of Humane Letters at the ceremony. For complete information on Commencement 2014, visit manhattan.edu/Commencement.